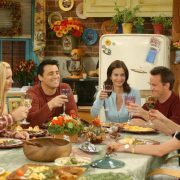 Have you ever heard the expression, ‘no friends in business’? It’s an oldie but a goodie. This is the attitude you should bring when considering buying property with a friend. Many good friendships have gone under the bus, and lots of people have taken a bullet to their credit rating by not giving this decision adequate thought. So, what are the risks involved with co-ownership, especially when you purchase with a friend? What if one wants to sell? One of the biggest problems with co-ownership is when one owner decides they want to sell the property, but the other owners don’t agree. This often ends up in court, and the process can be costly and upsetting for everyone. And needless to say – the friendship probably won’t survive. Buying could be harder in the future. It might seem like the dream scenario to invest now with your best friend. But if you decide in a few years to purchase a home to live in, the lender will assess your financial commitments based on the whole loan for the first property, not just the portion that you agreed to cover. This could make it very difficult for you to get another loan. You could be left holding the baby. If something happens and your friend is unable to make their repayments, you could be left in the difficult situation of repaying the entire loan by yourself. Coupled with your other living expenses, you might not be in a position to cover the whole amount yourself. But there are some ways that you can reduce the risk, if you are keen to purchase property with a friend. Put a legal will in place. It’s important to make arrangements for what will happen to your assets if you pass away or become incapacitated. Draw up a co-ownership agreement. If you can think about any issues that might possibly come up in the future, and have an agreement in place to solve them, you’re less likely to wind up in court trying to work things out. Choose the right structure – tenants in common, or joint tenants. Tenants in common can own a different portion of the property, and they need to specify in their will who will inherit their portion if they die. Joint tenants jointly and equally own the property, and if one person dies, their share automatically goes to the other(s) regardless of the instructions in their will. Choose the right person. It’s important to discuss your financial goals and values before you enter into this sort of arrangement. You need to feel comfortable knowing that your friend will be financially secure enough to keep up their end of the bargain – otherwise you might be left trying to cover the repayments alone. It’s important to think about your own relationships as well, if your partner is keen for you to buy a house together next year, you might want to think about how this first investment might impact your borrowing power. 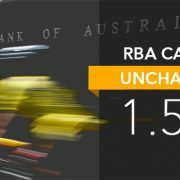 Increases over the last week by the likes of Westpac and Suncorp were a factor in the RBA’s decision to leave official rates on hold for yet another month at 1.5 per cent. It marks the longest ever run of interest rate stability in Australia, with the last movement (a cut) happening back in August 2016. During its last meeting on 7 August, the RBA board had examined an economy in generally good health, with steady growth in retail sales and employment, housing prices continuing to come off the boil (except in the booming Hobart market) and overall growth expected to sit just above 3 per cent in 2018 and 2019. Of concern, though, is the ongoing drought gripping NSW and much of Queensland, which is impacting agriculture production and exports. Inflation — a key driver of interest rate movements remains relatively subdued at 2.1 per cent and is expected to remain subdued for some time to come. “Strong competitive pressures and low growth in wage costs had been placing downward pressure on retail prices for some time,” the board noted in its minutes. The decision to keep rates on hold for yet another month had been widely anticipated, particularly since lenders have started hiking rates of their own accord, effectively blocking the RBA from doing so even if it had wanted to. On Wednesday (29 August), Westpac became the first of the majors to raise rates, increasing all of its standard variable rates by 14 basis points. Suncorp followed suit two days later with a 17 basis point increase on variable home loans, and a 10 basis point rise on small business loans. “There are plenty of factors keeping interest rates on hold, but top of mind is the fact that mortgage rates are already edging higher as lenders look to balance their profit margins against higher funding costs and a smaller deposit base,” noted Tim Lawless, head of research at property data firm CoreLogic. Likewise, it was unanimously expected by all 30 panellists from the finder.com.au RBA survey that official rates would remain on hold. “The belief that the cash rate won’t budge combined with increased funding pressure from overseas has spurred Westpac, Suncorp and other major banks to hike mortgage rates out of cycle,” the comparison site’s insights manager, Graham Cooke, said.